Includes a Juneteenth reception after the show! 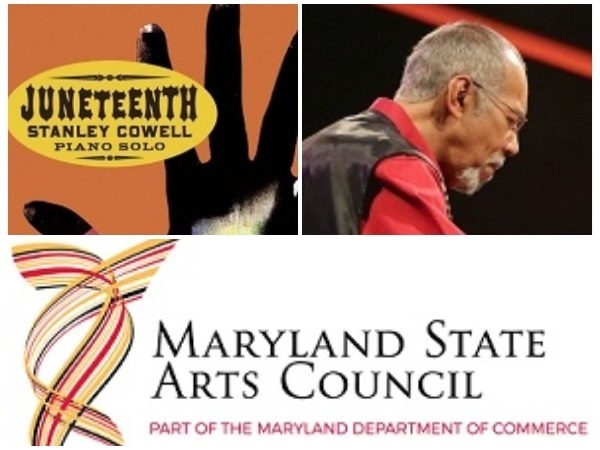 Stanley Cowell performs his “Juneteenth Suite” with an ensemble of strings, voice, and percussions. Juneteenth Suite was written in remembrance of the historic African American “Juneteenth” Emancipation of the former Texas slaves. The term comes from the date June 19th, 1865 when African Americans in Texas learned that slavery had been abolished more than two years earlier. Today, Juneteenth continues to be celebrated throughout the country as a ritual of cultural pride and historical continuity. An excellent modern, mainstream pianist who is adaptable to many acoustic jazz settings, Stanley Cowell has long been underrated except among knowing musicians. He studied the piano from the time he was four, and Art Tatum made an early impact. After attending Oberlin College Conservatory and the University of Michigan, Cowell (who had played with Rahsaan Roland Kirk while at Oberlin) moved to New York in 1966. He played regularly with Marion Brown (1966-1967), Max Roach (1967-1970), and the Bobby Hutcherson-Harold Land quintet (1968-1971). In the early '70s, Cowell worked in Music Inc. with Charles Tolliver, and they co-founded the label Strata East. He played regularly with the Heath Brothers during 1974-1983, and since 1981 has been a busy jazz educator.